Accounting is an essential aspect of a business. Thorough record-keeping enables a business to furnish accurate financial reports to shareholders, lenders and the Internal Revenue Service, among others. 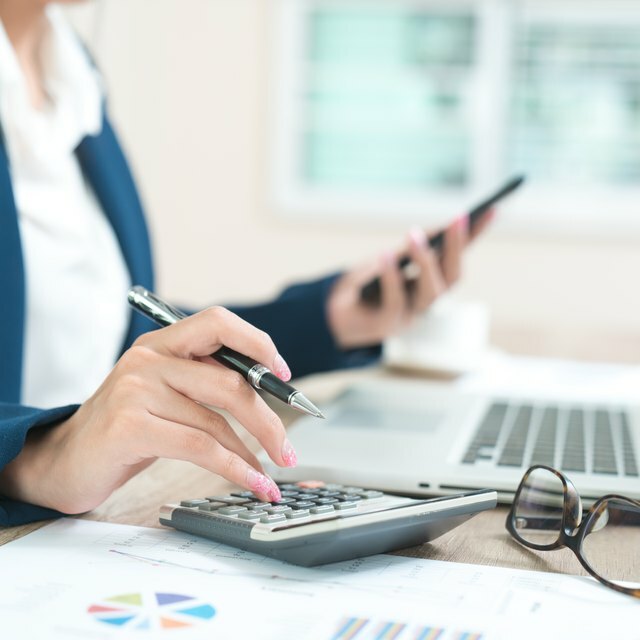 Whether your company is being audited or merely needs to file its quarterly taxes, you will need to have a skilled accountant on your side to prepare the necessary statements and ensure that basic accounting theories are met. Whatever kind of business you run, a thorough understanding of the many ways to look at your financial needs and a good grasp of accounting principles is imperative for both company owners and accountants to ensure that your fiscal future is safeguarded. It’s essential for accountants and business owners alike to understand basic accounting concepts. The principles behind these theories have given rise over time to the actual practices employed by accountants to ensure finances are properly managed and tracked. There are several principles considered part of basic accounting theory, including cost principle, matching principle, materiality, conservatism and monetary unit assumption. Cost principle: This principle requires recording assets as soon as they are acquired. These can range from things as simple as office supplies and factory equipment to new franchises. Depending on the sorts of assets you are recording, it’s possible that they will depreciate over time. However, they should still be documented when you acquire them. Matching principle: This principle requires that all transactions associated with a particular type of revenue be kept together and reported as a unit. Under the matching principle theory, expenses are always reported in the same period, such as a month, quarter or year, and the associated income is recorded. This theory exists only in the accrual method of accounting. For instance, if your company has a salesperson who earns $2,000 in commissions for work done in January, the expense for this should be recorded in January, even if you do not pay the employee until the next month. This principle requires accountants to be careful and always consistent in their documentation. Materiality: The notion of materiality states that a standard of accounting can be ignored, as long as the net result of doing so will have a small enough impact on the books that no one reviewing them would be misled. Careful judgment must be exercised when determining whether a specific transaction is important enough since materiality does not outline specifically which transactions are deemed most impactful. For instance, if you have a minor expense that will be spread out over a period of a year, such as your wireless internet charge, it might not matter whether that $240 is accounted for when you first sign the contract versus split into $20 increments over the 12 months it will impact. Materiality changes depending on the size of the company in question, too, since smaller budgets require that more attention is paid to each amount spent, as it represents a larger portion of the whole. The Securities and Exchange Commission suggests that a line item that represents less than 5 percent of a budget need not be accounted for, but that anything over that amount should be. Conservatism: This principle deals with liabilities. To ensure that your business holds on to enough of its money for the bills it has on the horizon, conservatism requires that all liabilities and potential liabilities be recorded as soon as they are anticipated. In this way, companies can plan for expenses that crop up in the future. Monetary unit assumption: This high-level accounting principle is appropriate for large or global companies. It considers the value of the dollar and whether this value might remain consistent or change over time. By anticipating the potential fluctuations of currency, it can help businesses plan for future ramping up of business, expansion of production facilities or investment opportunities. Certain types of accounting may focus more on the needs of managers. Management accounting is especially helpful for company leaders, as accountants work to specifically prepare reports that will help managers make important decisions to guide the business’s future. Usually, management accountants are well-versed in the running of a company and are therefore better suited to provide advice to owners. Financial accountants, however, generally work to provide reports indicating how well the business is being run. Both types of accountants must follow the same golden rules of accounting and, if working for the same company, adhere to the same principles of accounting for the sake of consistency. In accounting, as in most areas of business, considering a variety of options yields the most effective strategy for longevity and financial health. Professional accountants are familiar with all the basic accounting theories and know how to make each work for the businesses they interact with. No one principle is necessarily right for all companies, and the needs of an organization evolve over time. A frequent reevaluation of the approach a business is taking in their accounting and financial reporting is essential. Accounting runs on something called the “golden rules,” which are a series of guidelines for how financial transactions should be tracked. Regardless of the principle of accounting being used or whether an accountant is following a financial or management strategy, it’s important that these rules are adhered to. The first of these rules deal with the double-entry system of bookkeeping, which dictates that every transaction will need to be reflected in at least two accounts. For instance, if your business sold products for $5,000, in accrual-basis accounting, the accountant would record the transaction in the revenue (credit) category and accounts receivable (debit) for the same amount. The second golden rule of accounting, used for what is called real accounts, dictates that you always debit what comes in and credit what goes out. A real account, by definition, has a monetary value and is the property of the business. Lastly, when it comes to nominal accounts, you must debit all expenses and losses and credit all incomes and gains. Nominal accounts are those that involve capital, such as rent, discounts or commissions. As a small business owner, you should understand basic accounting terms and guidelines so that you can ensure your accountant is working according to best practice. In every case, transactions should be documented immediately, along with their date, a description and the account that will be both debited and credited. Generally speaking, transactions are tracked in a journal. If you run a large business or have a number of complex transactions, multiple journals are used to track credits and debits. For instance, a cash receipts journal tracks income and a cash disbursement journal tracks expenses. Of course, accounting software has replaced physical journals in most businesses, but the programs use the same basic accounting journals to keep track of finances. A chart of accounts shows the current totals of all your company’s accounts. These include assets, liabilities, owner’s equity, revenue, cost of goods sold, operating expenses and other accounts. If you deal mostly in services rather than sell products, you won’t have a cost of goods sold account. Your accountant will recommend which categories should be used and included in your chart of accounts, based on the type of business you operate. Accounting theory requires that accountants work on four assumptions. The first assumption of accounting theory requires that businesses always use a separate checking account and credit card for business payments. Keeping your personal and business accounts separate is not only easier for accountants to prepare financial reports, but is also a requirement of generally accepted accounting principles. Consequently, mixing the two accounts can make it more likely you will be audited. The second assumption of accounting theory assumes that a company will continue to exist and not go bankrupt. The third assumption assumes financial statements reflect dollar amounts, not numbers such as unit production. And the fourth assumption of accounting theory is that financial statements need to be prepared at least on a monthly or annual basis.